The MAKO SWORD PRO has an explosive hitting zone, which is to die for. This bat has thick contoured edges, large profile, and a awesome pick-up. The contoured edges to allow the thickest part of the edge to be in the hitting zone, with the weight distributed where its needed most. 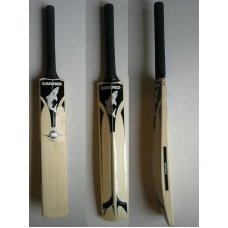 Amazingly good bat, available in all grades of willow. Many professionals are using this bat here in NZ. Great for 20/20 or other limited over cricket. Let others drool over this baby, whilst you smash the cricket ball all over the park!!!! !.